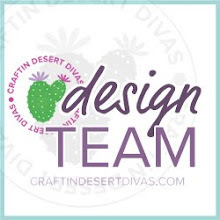 Craftin Desert Divas Blog: Giveaway Alert!!! 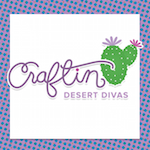 Craftin Desert Diva's is so excited that our Facebook fan page has grown. I have decided to have a fun giveaway when we reach our goal of 700 "likes". All you have to do is "like"and then "share" our giveaway with your friends. Once we reach 700 we will pick a winner from the "shares" on our page. Have your friends comment that you sent them and receive an extra entry!! Thanks so much for your support. Ooooo, what a wonderful giveaway! I sure would love to win, thanks for the chance to! Oh I love Halloween! It is my favorite Holiday! Thanks for the giveaway, I will share it on my blog and facebook page! So much Halloween goodness. You can never have too much Halloween supplies. Done! Thanks for the chance to win some crafty goodness.